Fact– Though this one may sound logical to a certain point , it is not a fact. House spiders are a completely different species compared to garden or yard spiders. You will rarely house spiders outside and vice versa. Some people also believe that there are more spiders in the summer months. But the low-moisture availability is not really a good time for spiders. Myth #3– If you find a spider in the house, be kind and put it back outside. Fact– This is a carry-forward from Myth #2. Remember that a house spider was never outside at all. Though some house spiders might survive outdoors, most will not be able to. And so, in fact, you are doing them a disservice and in most cases, they will perish outdoors. Myth #4– Spiders that are found in sinks & bathtubs have crawled out of the drains from sewers. Fact– All modern-day drains have a sediment trap that is filled with a liquid and spiders cannot penetrate through this trap. The fact is that the spider was in your house all along. It probably strayed from its territory because it wanted a drink of water and could not climb out of the smooth walls of the bathtub or sink. These are just a few of the myths surrounding spiders and you are sure to have heard of some that state, spiders can lay eggs under human’s skin or that house spiders are a danger to kids and pets. The fact is that spiders only bite a creature they want to eat and they do not want to eat anything that is the size of humans. The few times that they might actually bite a person, is if they have been antagonized by him/her. Nevertheless, it is not pleasant to have spiders crawling around the house. They spin webs and sometimes their bites can cause allergies. 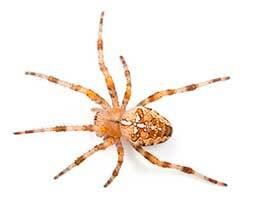 If you have a spider infestation in your home, contact Any Pest without delay on 1-855-886-7378. We serve Hamilton, ON and the surrounding areas. This entry was posted in Blog on 2014/09/30 by Any Pest.